The bookmaker is established in 2010 in South Africa. The owners of the business are proud to be among the few operating legally and with all the licenses and full documentation in South Africa. The company is licensed by the Western Cape Gambling and Racing Board. The license of the company is since 2014, and it’s with license number 10145732-006. The main goal of the company is to deliver not only a platform for bettors but a place where betting is simple, exciting and for the real fans. The main credo of the people behind this online bookie is simple, thrilling and for the world of sport. 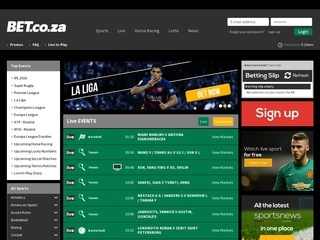 Sedley, known as a top company in the betting world in South Africa, consulted the owners of Bet.co.za. They helped with their advice to build the high quality business. Therefore, this online bookie has the know-how of one of the best companies in the business. This guarantees and explains the high popularity among gamblers at the moment. Bet.co.za is quite popular in South Africa – 3875th spot in website fame. The worldwide spot is in the top 250000 most popular websites. The numbers don’t lie and the bookie truly offers a great service to all its clients. For all the clients of the online booking company the options for betting are many. Huge variety of sports and sports events have covered. All the main sports in all different continents are covered and available to bet on. Here are just some of the sports covered: Athletics, American sports, Aussie rules, basketball, cricket, football, golf, hockey, soccer. Horse racing is also one of the areas where the bookie has interest on and allows its clients to bet. Casino, poker, and other games are not in the portfolio of the bookie as it’s mainly with a focus on sports. However, this means all lotto games around the world with cover. There are lotto games you can take part of from Japan like Lot 6 for example. Other countries covered are Russia, UK, Singapore, Austria, Lithuania, etc. Being well established and quite ambitious and consulted by one of the biggest in the business, Bet.co.za deliver the quality of the live betting similar to the biggest and most respected in the world. Live coverage of the sports events is available on the website. All the action like attacks, name, and some the players, false, shots and misses are covered in real time. Live streaming is available only for some events and-and only after login. At the same the online bookie has special sports news website where the bettors can read the latest news and see statistics about matches, predictions, and read opinions. The bookmaker offers high odds available for anyone. On top of that, the different betting options and odds are directly listed in a special section for every different sports event, which during the event is attached to the real live coverage page for the event. This means every bettor can simultaneously follow the event and bet in real time. All betting options are available, and some of the most popular currently covered by the company are Double chance, a match winner, half time/full time. Also covered are half time result, over/under, match bet and totals, highest scoring half, score odd/even, draw no bet, handicap and tens of other options. They are well displayed and explained on the website of the company. The odds may vary from 0.5 or even lower to 99.00 for extremely unexpected final results in the events. Betting security is one of the aspects bet.co.za takes extremely seriously. However, they do not use SSL encryption for the transfer of the data. They store all customer data such as a personal address and personal details in the special secure server. All employees have signed a contract that no personal information they have will be let out to a third party organization. Credit card information is not stored at all, only physical address, ID, password, full names and chosen username. The online bookmakers use only one language – English. Different contract information is available on the website of the bookmaker such as physical address and postal, phone, two different emails, fax. The customers can also fill an online form or use the live chat for different questions that are not mentioned in the FAQ page of the website. Making a deposit is super easy. 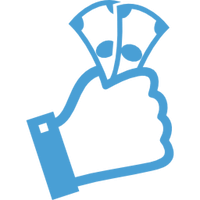 Cheques are not accepted by the online bookie, which means all paying, no matter the direction of the money flow is fast and well secured. A minimum deposit is not mentioned by the bookie. Any client can withdraw his/her money, in the same way, he/she made the deposit. Only one currency is available for the bettors to bet with and this is US dollar. More more information on currencies and paying options, see the table. Bet.co.za have their minds set on betting experience. They do their best to increase the level of satisfaction of clients by improving it as much as possible.